Where is the closest airport to Neah Bay? Seattle-Tacoma International Airport is the largest airport servicing all major airlines and is approximately a four-drive. Kenmore Air flies has 4 flights into Port Angeles, which is about a two-hour drive to Neah Bay (see below). What are the drive-times to Neah Bay? On the west side of the ferries at Kingston and Bainbridge Island it is about a four-hour drive to Neah Bay. If you’re driving around from the Tacoma Narrows Bridge it is also about four hours. Coming up the Pacific coast it is also about four hours from the Aberdeen-Hoquiam area. Which is the best route to drive from Port Angeles? Highway 101 around Lake Crescent is very scenic and moves along quickly – remember to take the follow the signs at the Sappho Junction to Neah Bay. Highway 112, the Juan de Fuca Scenic Byway, has occasional views of the Straits and the lower end of Vancouver Island and winds along with slower driving speeds. What should I expect when I arrive in Neah Bay? Expect to see a cozy fishing village nestled in between hills covered in predominately hemlock and spruce mix of evergreens. The Makah Tribe have made their home in this area for thousands of years and traditionally had five major winter villages and numerous summer fishing camps. 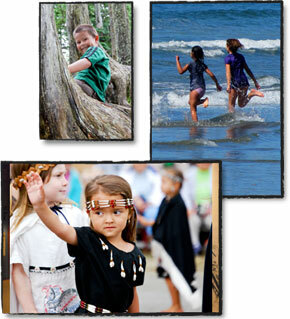 Neah Bay is central to the Tribe’s social, economic and cultural activities. Who lives in Neah Bay? Neah Bay is located on the Makah Indian Reservation and is home to approximately 1200 members of the Makah Tribe. There is also a non-Indian population of around 350 individuals who work for the Tribe, the US Coast Guard, the Neah Bay Schools, or those who simply reside there because they love the area. As a sovereign nation of the Makah Tribe, do the tribal members speak their own language? English is the language spoken in Neah Bay and by all members of the Makah Tribe. There are a number of fluent speakers still living and the language is taught in the schools from pre-school to High School. May I photograph the Makah people? Like anywhere in the world, it is always wise to inquire first. Many people will be happy to have you take their picture and others may be shy and not willing. How do the Makah Indians live? Like anywhere in the world, courteous, respectful behavior is appreciated. Makahs are one part of the human family on earth and engage with people like anyone else. Direct eye contact is acceptable and most Makahs are very friendly, proud of their heritage and homelands and will be happy to answer your questions. What is the proper way to act on the Reservation? Are there sacred areas to avoid? Makahs have areas of prayer and certain ceremonial practices that are off-limits to visitors. These places are not likely to be encountered on a casual visit to Neah Bay. However, it is advisable to stay on the paved roads and not to wander off onto the graveled roads and deeply forested areas. Where can I learn more about the Makah Tribe of Indians? What is a Recreational Use Permit? The Recreational Use Permit (RUP) is available for sale at the Makah Museum, Washburn’s Store and at the Makah Tribal Center at a cost of $10.00 per car and is good for the calendar year in which it is purchased. Once purchased you can make repeat visits to Makah during that calendar year and utilize the same permit. The permit is designed to be hung from your rear-view mirror and is required if you are going to engage in recreational activities on the Reservation – hiking, camping, kayaking, sports-fishing, etc. Can I bring my dog to Neah Bay? The Makah Tribe passed a dangerous dog ordinance in that prohibits certain breeds of dogs. If you own a pit-bull, Rottweiller, Doberman Pincer you are encouraged to make other arrangements for your canine friend before coming to Neah Bay. Pets are welcomed as long as they are under your control. Inquire specifically at your place of lodging whether pets are ok to bring along. Dogs are not allowed in the Olympic National Park, so if you are planning a hike to Shi-Shi you should do so without your canine companion. I see dogs roaming freely in Neah Bay – are they in need of rescue? Most dog-owners in Neah Bay have their animals under their control – either within their home or on their property. Some dogs however, have taken to walking the downtown area or swimming at the beach and then return home. The Makah Police Department has an Animal Control Officer and can be reached at 360-645-2711 if you have further questions. The state highways leading to the Makah Reservation are all paved and well-maintained. The main roads in Neah Bay, the roads out to the ocean beaches, the road to the trail to Cape Flattery are all paved. Our annual rainfall is readily measured in feet rather than inches – we receive an average of 10’ of rain per year. Heavy rainfall typically falls between October and April; and there have been occasions in the past when the rains have loosened the land along the roads causing them to slide freely. Washington State Department of Transportation responds quickly to mudslides on the road leading into Neah Bay and they are generally taken care of within hours of their occurance. Winter storms typically consist of heavy rain and wind. Wind gusts can easily reach 100 mph and can blow over large tracts of trees. When these trees fall on power lines the electricity can be lost in Neah Bay until such time as the crews can locate the problem and fix. Power outages can last for hours, a full day – or depending the severity and widespread nature of the storm – for days! Businesses are prepared to contend with the outages and the Makah Tribe is at the ready to respond to community needs. It is wise to have a flashlight and other emergency supplies when visiting in the winterime. With the winter storms is it advisable to visit in the winter? Absolutely! Being on the Pacific Coast during the winter storms is an excellent time to view the raw and natural beauty of the immense and noisy crashing of waves and to experience first-hand the primal connection to nature. Can I spend foreign currency in Neah Bay? Businesses are not equipped to deal with foreign currency and encourage you to exchange your funds to US dollars before traveling to Neah Bay. Major credit cards are accepted at most places. Are there cellular towers and will my cell phone work in Neah Bay? There are spots along the drive from Port Angles to Neah Bay (particularly along Hwy 112) where if you use your cell phone it could be acquiring roaming charges from Canada, which can be costly. There is a Verizon cell tower at Makah and the coverage for Verizon is good. If you have a different service provider, and wish to remain connected it is advisable to purchase a pre-paid phone. I’d like to bring my laptop, are there locations with wireless connections? Wi-Fi is available at the Makah Marina and Linda’s Wood-fired Kitchen. Washburn’s General Store carries Washington State sports fishing licenses as well as permits for fishing on tribal lands. Call them at 360.645.2211 for more information. Where can I park my car when I plan to hike into Shi-Shi Beach? There is a day-only parking at the entrance to the trail that leads to Shi-Shi Beach. This is provided for those folks who wish to hike down to the beach and spend the day. It is not recommended for overnight parking. There are individual landowners along tsoo-yas Beach that have space for parking at a nominal cost. Where can we camp when we come to Neah Bay? Tent-camping spots are available at the camping and recreational vehicle establishments in Neah Bay at the Cape Motel & Campgrounds, as well as at the doorstep to the Pacific Ocean at Hobuck Beach Campgrounds – call ahead for availability and rates. Campers are encouraged to stay with the business locations that provide this service and not to simply pitch a tent at a random location. Beachfront or other properties can be privately owned and it would not be advisable to trespass in these areas. Is the lighthouse at Tattoosh occupied? The lighthouse at Tattoosh is fully automated and has not been occupied by lighthouse keepers since 1977. The Makah Tribe owns both Tattoosh and Waadah Islands and allows access to researchers by special permission as they are not open to the public. Is there a way that I can experience the Makah culture and learn more about the Tribe? The best introduction to the Makah people is through a visit to the Makah Cultural and Research Center’s Makah Museum. The exhibits take one through the seasons of the year and the types of activities that were being practiced in pre-contact times. Many of these activities still make up the annual cycles of everyday Makah life centuries later! The Makah Tribe celebrates its annual Makah Days on the weekend closest to August 26th each year. The children perform the traditional dances of the Tribe on the beach platform on the west end of town on Saturday morning and it is evident from the serious manner in which they perform that they are very proud of their heritage. Photographs are allowed. The adults perform many of the same dances, in addition to others, on Saturday night at the High School gymnasium. Photographing is not allowed during the adult dances and is strictly enforced. Traditionally-prepared salmon placed between a split-cedar stick and baked before an open fire is is an interesting process to watch and a treat not to be missed! Look for signs advertising freshly smoked salmon prepared locally year-round. Will I see any whales when I come to Neah Bay? Whales migrate from the summer feeding grounds in the Arctic Ocean to the warm lagoons of Mexico each spring and fall. During this time it is common to spot them on their migration. There are also whales that stay in the area year-round and their spouts can be easily spouted. The planked overlooks Cape Flattery provide an excellent vantage point for whale-watching. Call a local charter company for wildlife excursions that may be scheduled.